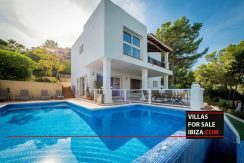 Ibiza presents some excellent investment opportunities. 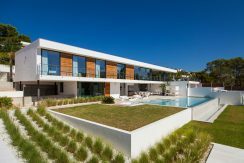 First of all, unlike the rest of Spain, the housing market has steadily increased over recent years with the higher end of the market remaining strong and the middle and lower end currently booming. The chance to create income off your investment is also an attractive prospect. The holiday market will probably never falter in this island of sun, sea and fun and the rental season can be an alternative and lucrative income stream. Understandably, the Balearic government have put in place legislation to protect both property owners, holidaymakers and of course taxes. 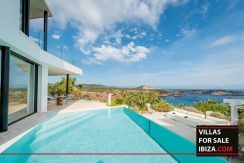 If you intend to buy in Ibiza with the idea of renting to tourists there are a few things you need to keep in mind. First up, only detached and semi detached properties are allowed to obtain tourist licences. At this point, apartments are not covered by the Estancia Turistica en Viviendas (ETV). This doesn’t necessarily mean you cannot rent your apartment out short term but the so-called loophole that allows that is a rather big one to jump through. For the point of this article lets stick to the stuff that is easily recognisable as legal rather than a little bit grey. Before you even start to think about buying a property to rent in the summer, you need to be sure that all the paperwork is in place. If your intention is to rent to tourists then one of the most important pieces of paper is the Cedula – which is a certificate of habitation. 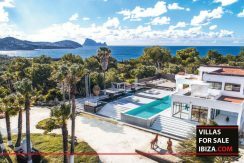 It might seem strange that a home would be put on the market without one but this is Ibiza and well, stranger things have happened. Once you have the property the next step is to get the tourist licence. The home must have no more than six bedrooms and accommodate a maximum of 12 people. There must be at least one bathroom for up to five people, two bathrooms for six to eight people, three for nine to 11 people and four for 12 people. And although it doesn’t seem to be a prerequisite (oddly), public liability and property insurance is a must have. If you’ve come this far you’ll probably be aware of Spain’s adoration for long and convoluted bureaucratic processes. At this point we advise enlisting the services of a good gestoria or lawyer to help wade through the paperwork. In a nutshell, there are two rather tiresome forms along with all the key information about the property that must be submitted to the Island Council Tourism Department. Calling on the professionals takes away all the stress (and man hours) involved. Once the application has been made you can start renting to tourists while you wait for the inspectors to come… which may take a while as, predictably, there is rather a huge backlog. But, you’re in business!